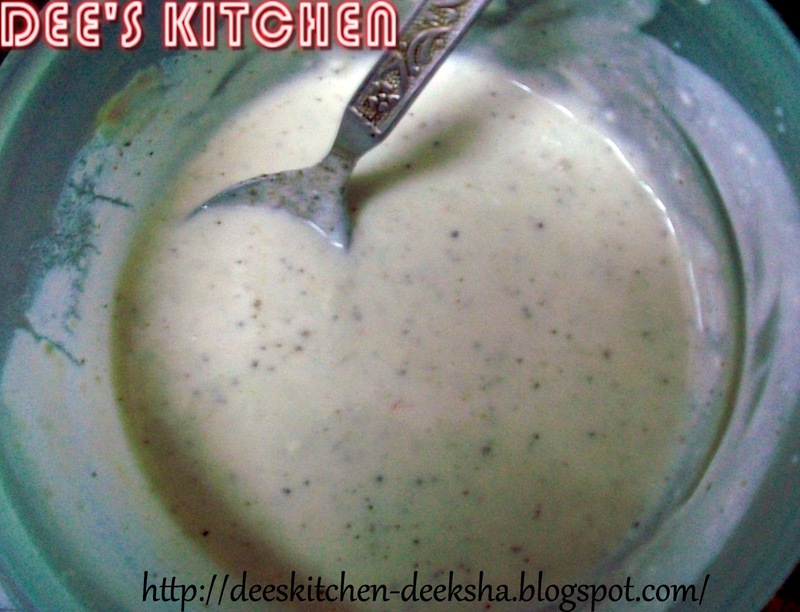 * Combine APF, curd, salt, ajwain, and black pepper powder in a bowl. Add some water to make a thick batter. 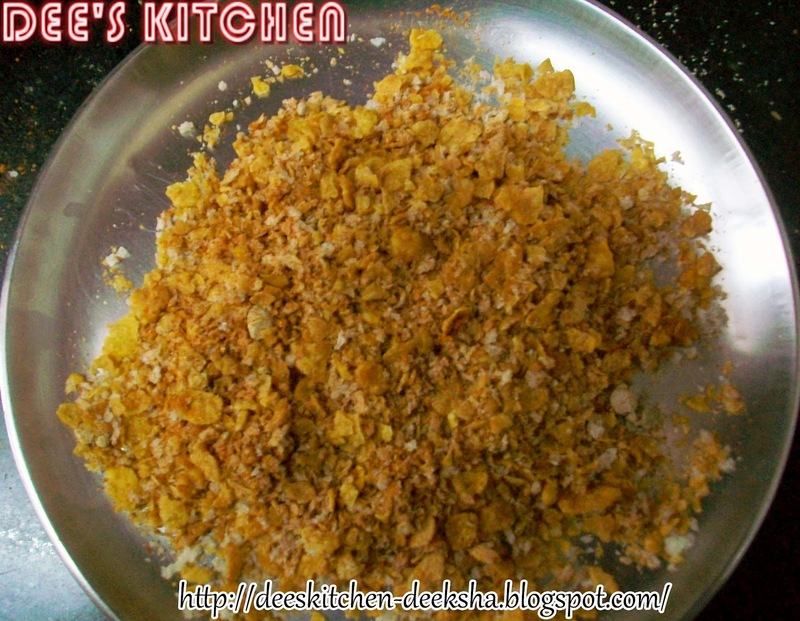 * Mix crushed cornflakes, bread crumbs, tandoori masala and amchur powder. Keep aside. * Heat sufficient oil in a deep bottom pan. * Cut the Paneer into squares. Dip the pieces in the ready batter. * Coat each piece with ready masala and deep fry till golden brown in color. 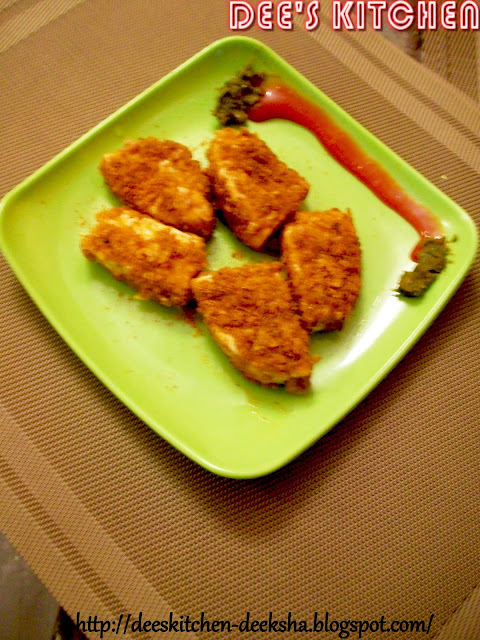 * Sprinkle tandoori masala and serve hot with green chutney and tomato ketchup. Looks and sounds superb !!! Nice delightful and scrumptious !! Tasty one !! Perfect n yummy starter..loving it! 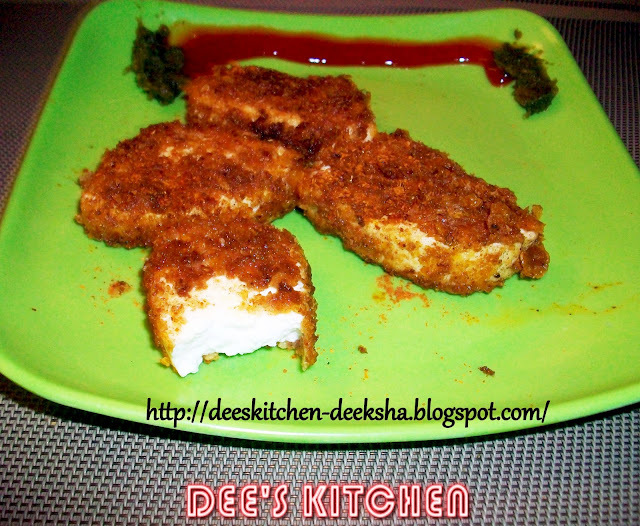 Irresistible recipe, looks so delicious n perfect. 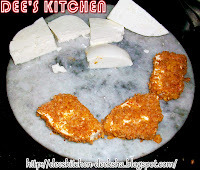 Droolworthy fried paneer, makes me hungry..